Little did I know this would be a trip of a lifetime. Carlos and I arrived on the Tuesday before the festival and I came with a packed schedule filled with things to do. On Tuesday evening I was filmed by the TCM crew for their promo videos. 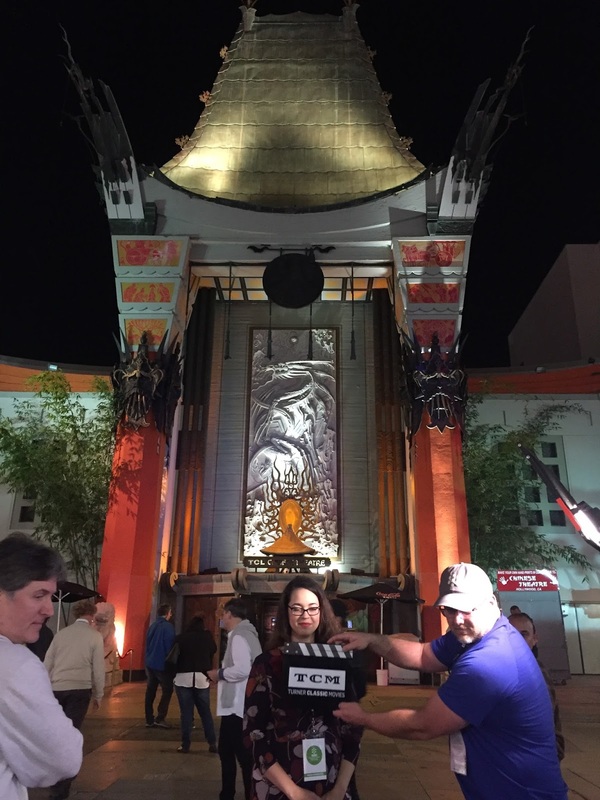 I was a bit nervous even though I had been mentally preparing for the filming for about a week. I didn't think any of my footage would be used but lucky for me something I said off the cuff made it into the TCM Friday Festival Update Video. In that same video you can also catch a glimpse of me interviewing Leonard Maltin on the red carpet. More on that to come! The TCM crew filmed me, Carrie of Classic Film Fan and Kim of I See a Dark Theater. 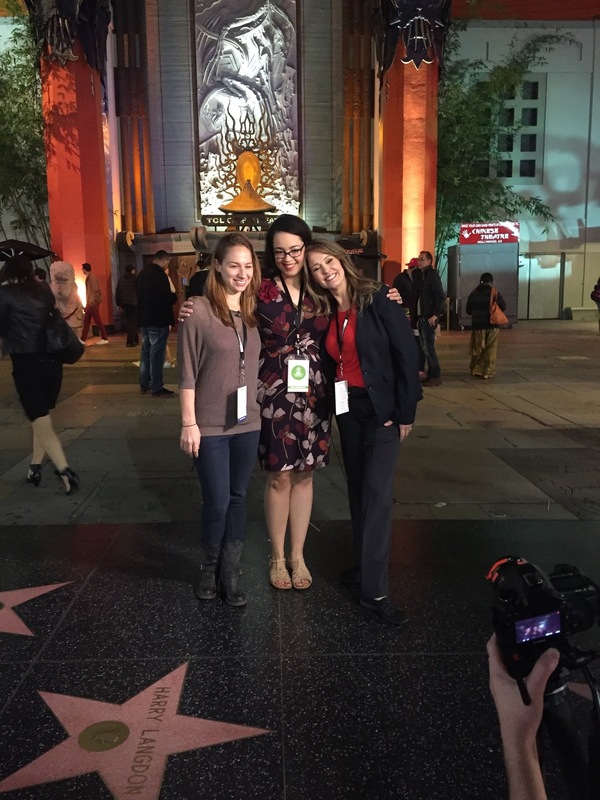 I had a blast working with these two lovely ladies and getting to know them better. Carlos was there too as official schmoozer and purse wrangler. He also took some behind-the-scenes photographs. 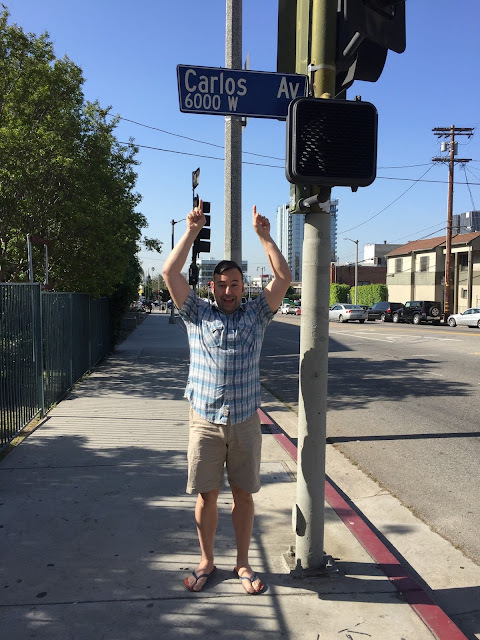 On Wednesday Carlos and I made a pilgrimage to the 101 Coffee Shop in the Hollywood Hills. 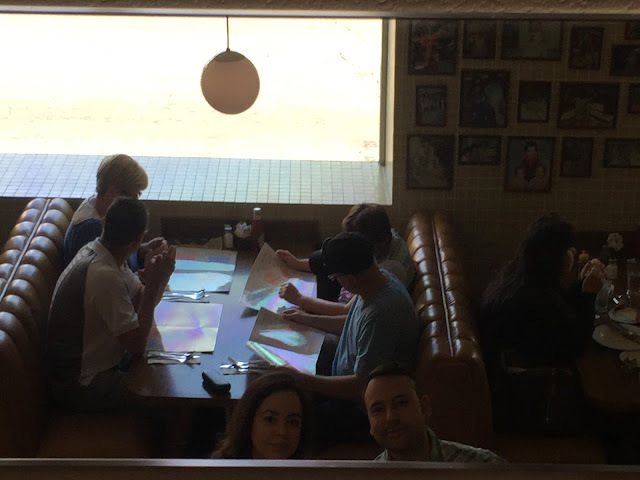 It's a fantastic diner and happens to be one of the shooting locations in the film Swingers (1996). Along the way we found Carlos Ave! 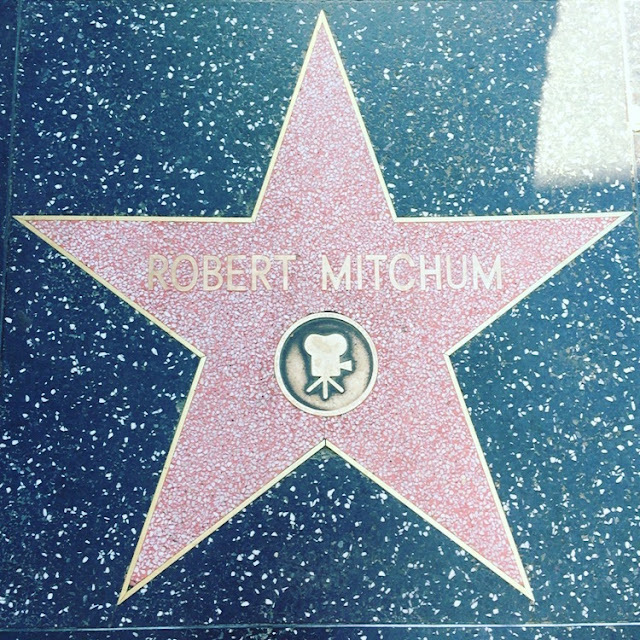 Around the corner from Hollywood and Vine, you can find Robert Mitchum's star on the Hollywood Walk of Fame. I make the pilgrimage every year to see it and commemorate the event with a few photos. 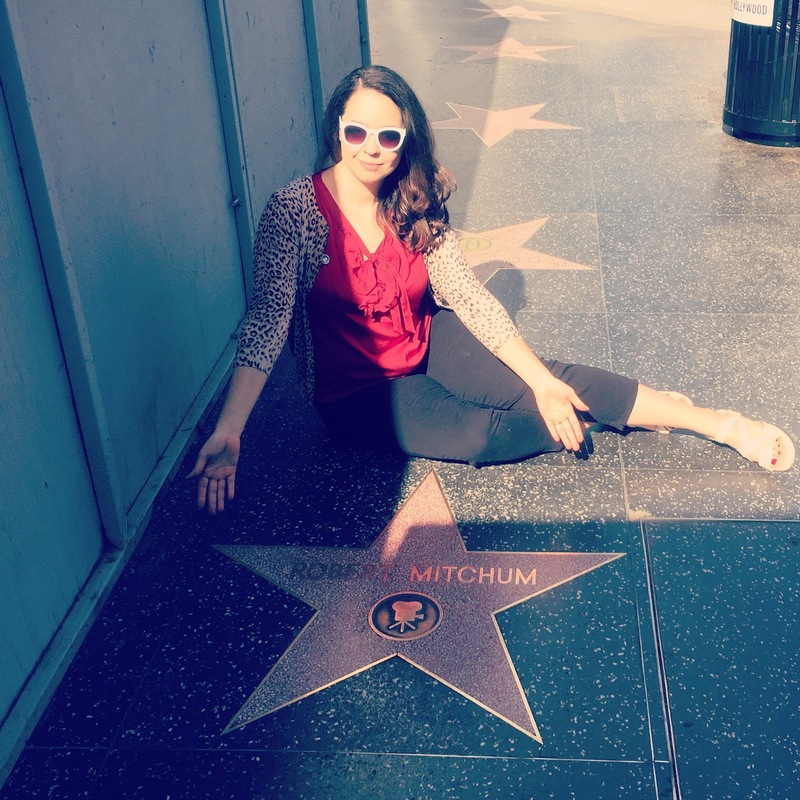 There was a lot of construction happening on that same block and some of the stars were obscured by partitions. It was sheer luck that Mitchum's star was one of the few that was still visible. It was one of several lucky occurrences for me on this trip. 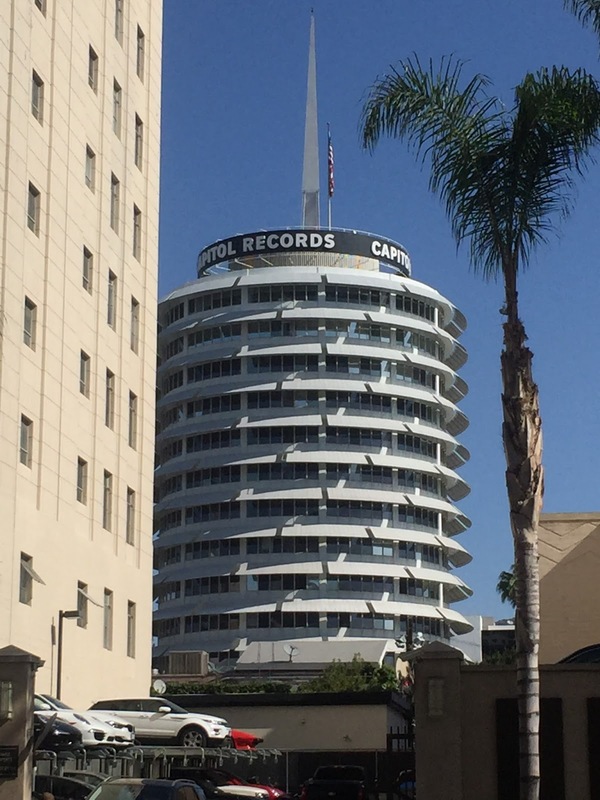 As we walked down Hollywood Boulevard I took a quick photo of the iconic Capitol Records building which is just up the hill. While we were waiting for the Larry Edmunds Bookshop to open, we stopped by a souvenir shop. 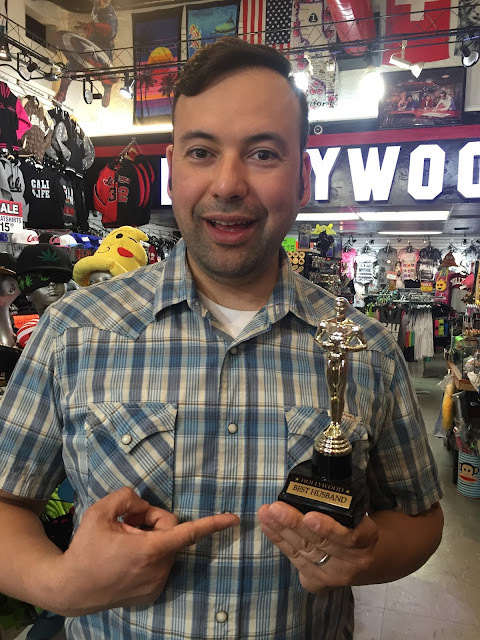 Here Carlos is thanking the Academy for his Best Husband Oscar. Visiting Larry Edmunds Bookshop is a treat as well as a major strain on the wallet. 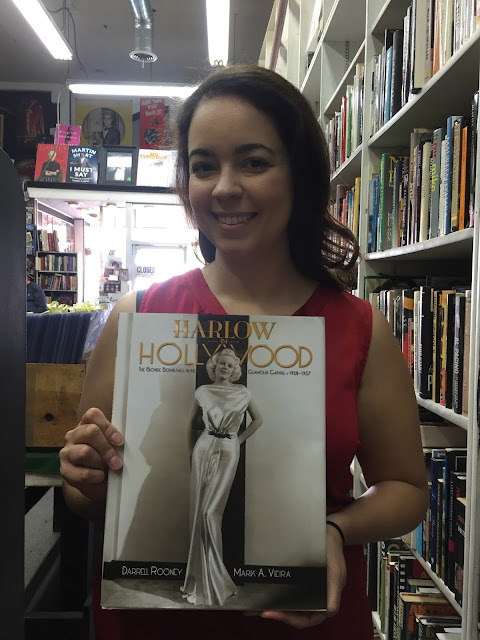 On this trip I purchased Harlow in Hollywood by Darrell Rooney and Mark A. Vieira as well as an out-of-print bio on Telly Savalas plus some prints of Murder by Death (1976) for a friend. I also attended two TCMFF book signings that were run by Larry Edmunds. 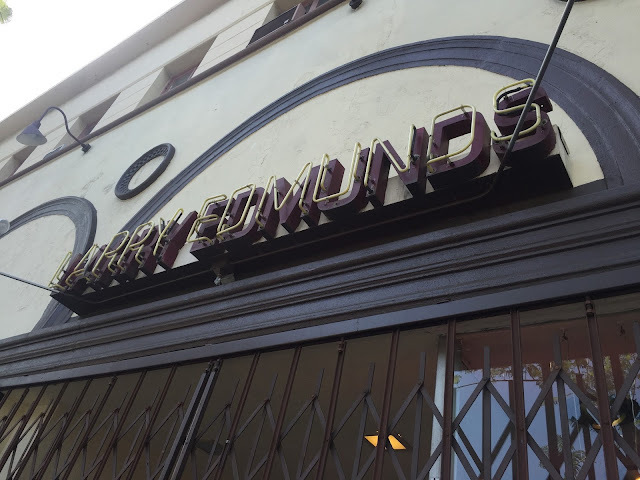 Larry Edmunds' slogan could be: come for the film books, stay for a chat. Jeff who runs the store and Sean who helped me find some prints are super friendly and I had a blast talking to them at the bookshop as well as at the festival. Afterwards I headed to the Roosevelt hotel which is the central hub of the festival. 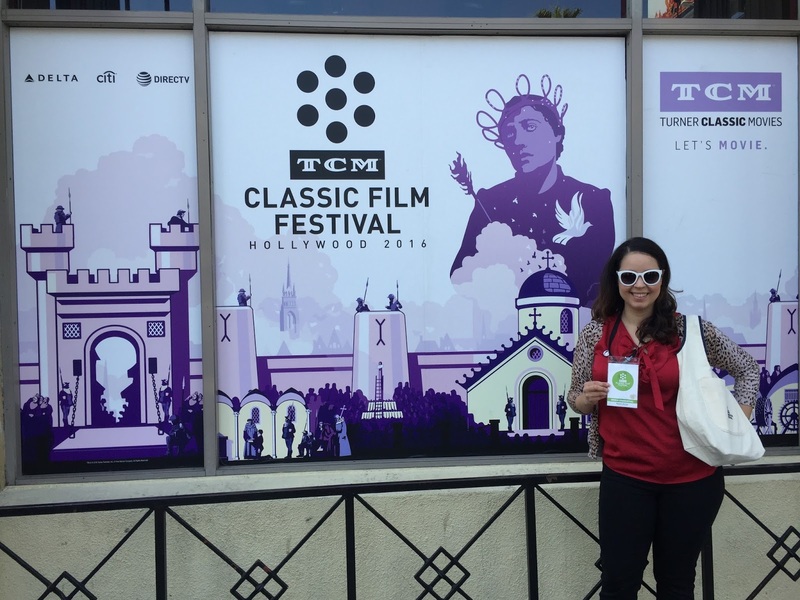 There I picked up my media pass which unfortunately didn't have any film themed design. However the excellent goodie bag they gave us more than made up for it. 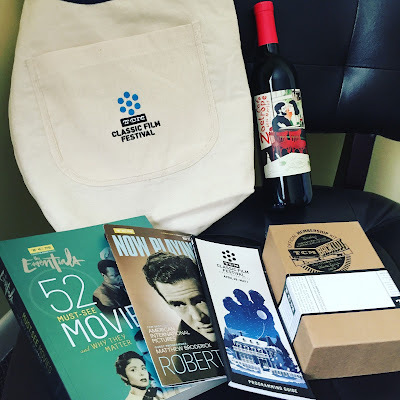 The media received a TCMFF tote bag, a copy of TCM The Essentials: 52 Must-See Movies and Why They Matter by Jeremy Arnold, a TCMFF 2016 booklet, the latest Now Playing guide, a bottle of Francis Ford Coppola's Zoetrope wine and a complimentary subscription to TCM Backlot, their new exclusive fan club service. 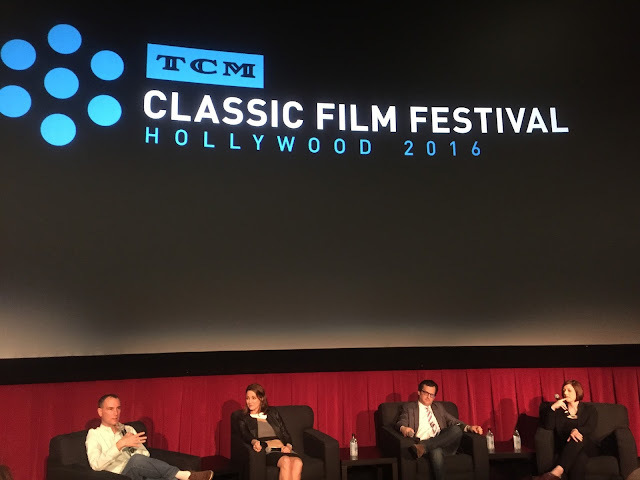 Then I was off to a press conference hosted by TCM that included Charles Tabesh, Jennifer Dorian, Ben Mankiewicz and Genevieve McGillicuddy. It's also when I got to see some friendly faces for the first time during the fest including one of my best friends Laura! Make sure you check out my full coverage of the TCMFF 2016 Press Conference. 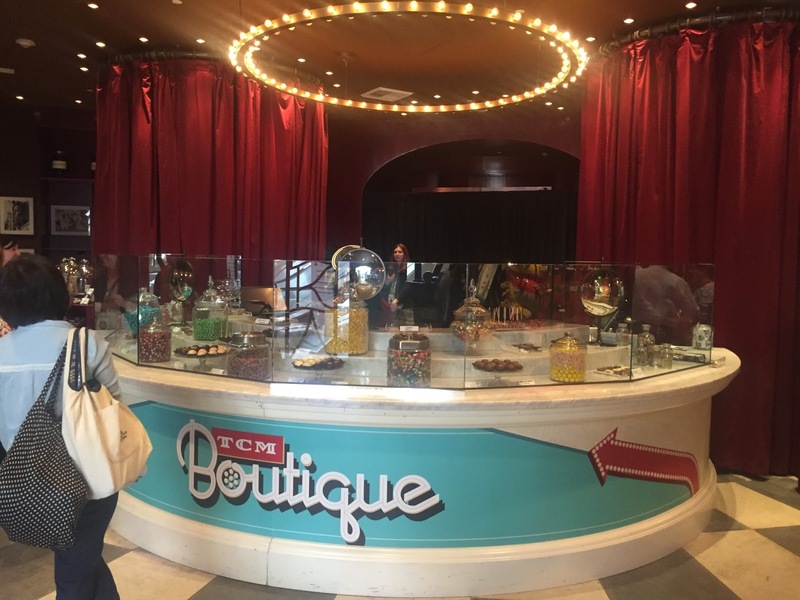 After the press conference a few of us stopped by the TCM Boutique which was not at the Roosevelt this year. Instead it was situated in the Sweet! shop in the Hollywood & Highland mall. 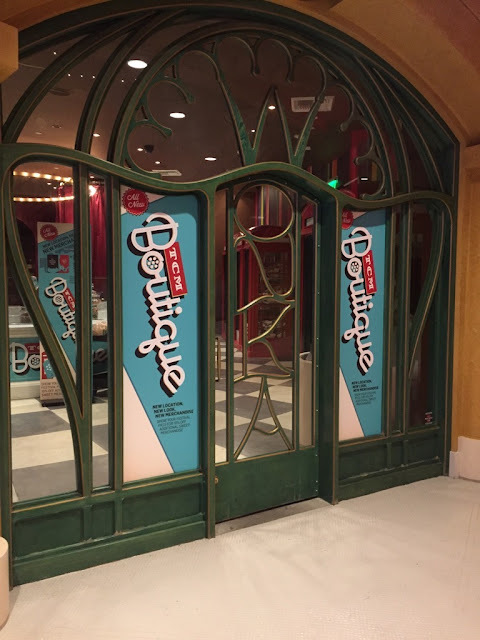 If you attend any of the Chinese Multiplex screenings during the festival you inevitably pass by the boutique so it was conveniently located. The set up was beautiful but I didn't end up buying any merchandise. I was more interested in spending my money on books. Several of us headed to the Roosevelt hotel pool for what ended up being several meet-and-greets happening at the same time. I had two delicious mojitos which calmed some of my nerves and had some good chats with friends. It was a bit chaotic and I didn't end up getting any pictures. 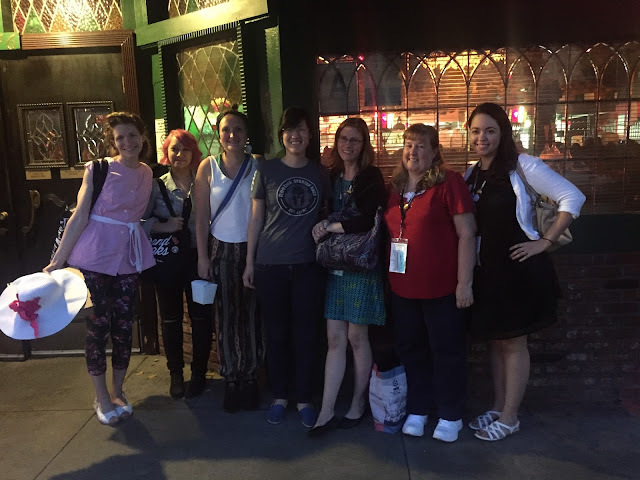 However, a group of us opted to go out to dinner at the famous Miceli's for what proved to be a convivial and more relaxed evening. I had such a blast talking to my friends I forgot to eat my dinner! 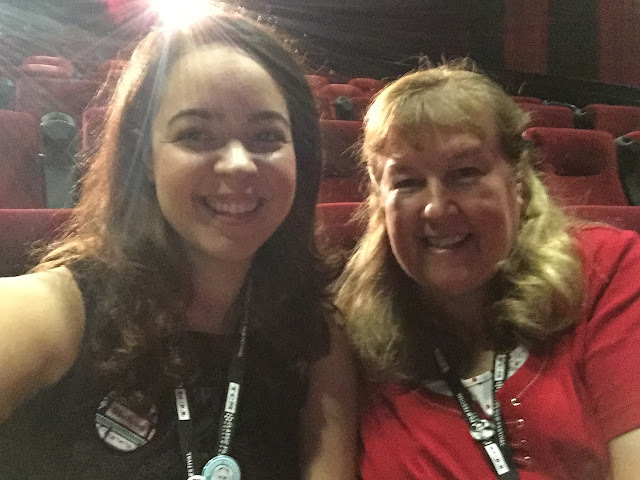 Stay tuned as I'll have more recaps as well as detailed posts on my 2016 TCMFF adventures.